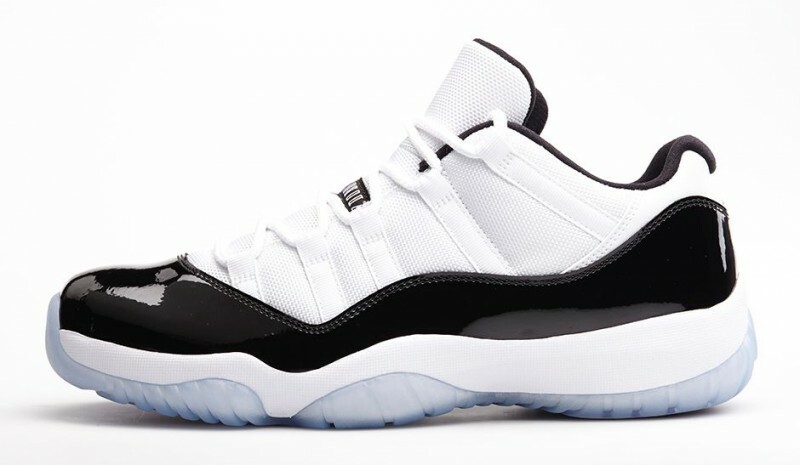 One of the most iconic and beloved Air Jordan models of all time, the Air Jordan 11 followed MJ’s insight of bringing a formal look to the court, using patent leather for the first time in an athletic shoe. This low version features the exact performance and design elements of the original — patent leather with mesh uppers, carbon fiber and subtle pops of Concord — in a new sleek silhouette. If you’re interested in copping a pair this weekend please read our release details below. 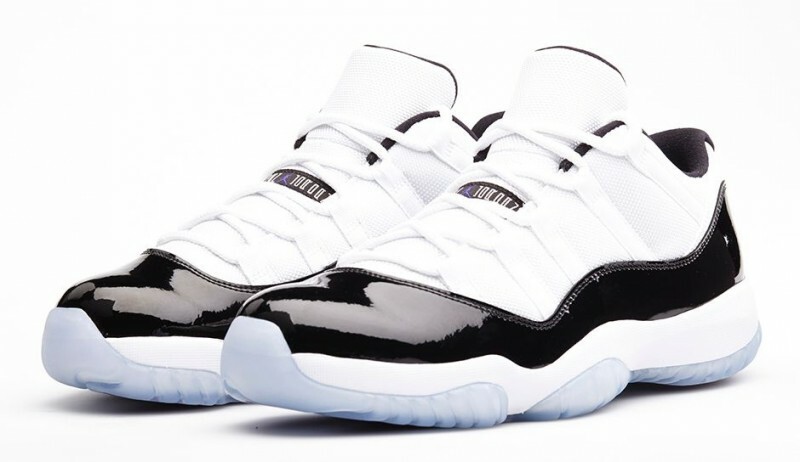 In partnership with mall management, SELECT Foot Locker and House of Hoops by Foot Locker stores will implement a sweepstakes ticket procedure* in order to purchase the Air Jordan 11 Low “Concord” (on sale 5/3/14 for $150). The sweepstakes tickets will be given out Wednesday, April 30th and Thursday, May 1st. If your ticket number is selected, you will be notified by phone on Friday, May 2nd. These procedures are for SELECT STORES only. To find out which store near you will carry the shoe and if that store will implement the sweepstakes ticket procedure, please visit the Foot Locker Launch Locator. Full-family sizing will also be available – Grade School ($115), Pre-School ($70) and Infant ($50). This release will be available on Footlocker.com this Saturday, May 3rd at 8:00 a.m. EDT in Men’s ($150), Grade School ($115), Pre-School ($70) and Infant ($50) sizes.